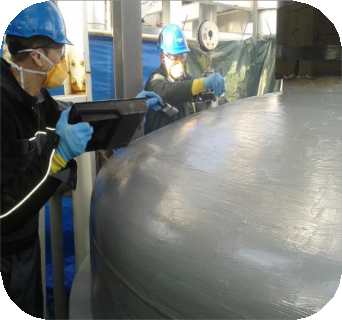 We have developed a coating called PES Chem 561 Thermal Barrier. You can apply it to hot surfaces to protect facility engineers from hot surfaces (potential burns). Additionally, this liquid applied insulation coating can help to reduce heat loss on bare steel pipes operating at elevated temperatures. 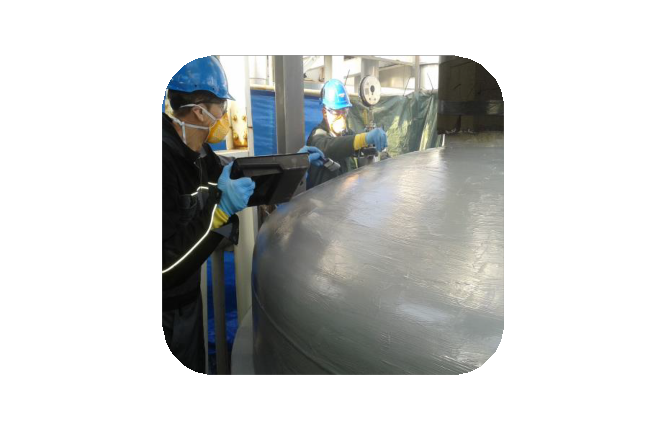 PES Chem 561 Thermal Barrier is a two pack solvent free epoxy coating, which you can apply by brush or standard airless spray. Also, depending on the surface temperature, you can apply it in 3 or 4 coats. 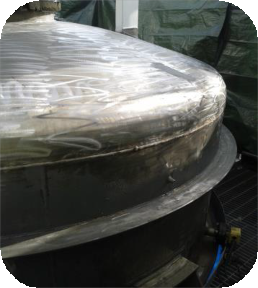 Once cured, the material can reduce surfaces temperatures by 60% and heat loss by 40%. 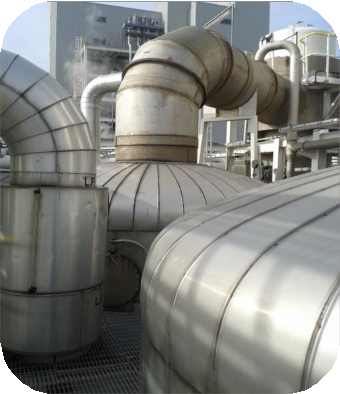 An evaporator at a UK based chemical company required a coating to help reduce heat loss and the surface temperature. The surface temperature was measured at 203°F. 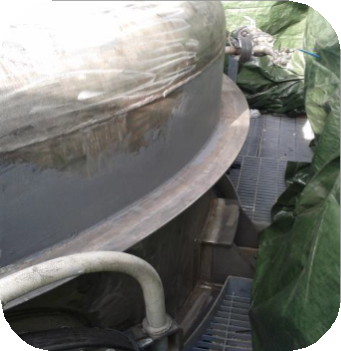 In addition, the substrate was mechanically abraded using handheld grinders. Then, the use of 107 Metal Repair Paste XL filled any corrosion pitting. 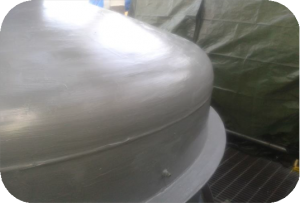 Once cured, the first coat of 561 Thermal Barrier was applied at 4-8 mils WFT. It was then allowed to cure for 2 hours. Once dry, a 2nd coat was applied at 408 mils. The following coats were applied at 0.4 in. each to give a total DFT of .15 in. 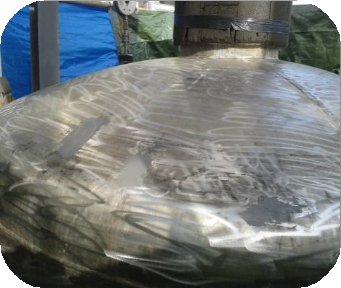 The surface temperature was measured at 185°F-235°F once the application has been completed, a 60% reduction in surface temperature. 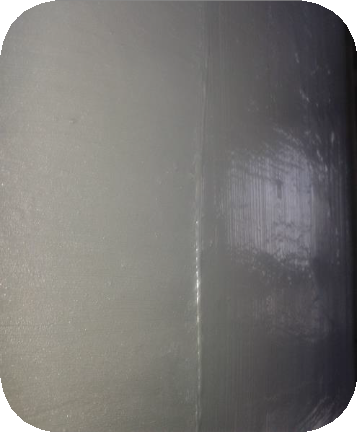 Contact us with the link below to purchase your PES Chem 561 Thermal Barrier today! 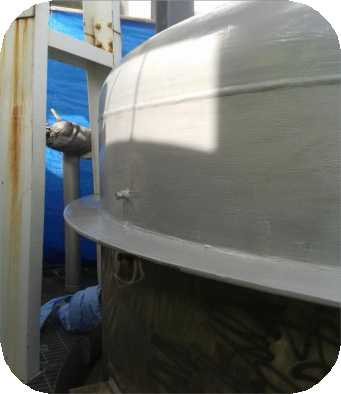 This entry was posted in Epoxy Coatings and tagged Liquid Applied Insulation Coating, PES Chem 561 Thermal Barrier. Bookmark the permalink.